Find the best foreclosure homes listings for sale — bank-owned, government (Fannie Mae, Freddie Mac, HUD, etc.) and others — in and near the Torrington Ct 06791 area at Foreclosure.com. Get information on foreclosure homes for rent, how to buy foreclosures in Torrington Ct 06791 and much more. 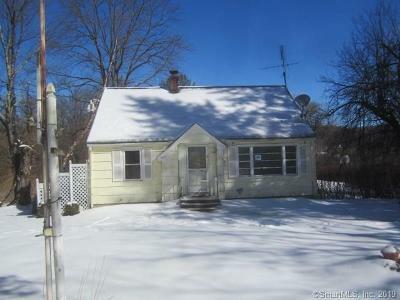 Save thousands at closing with home foreclosure listings in Torrington Ct 06791 — up to 75% off market value! Harwinton is a town in Litchfield County, Connecticut, United States. The population was 5,283 at the 2000 census. The high school is Lewis S. Mills. The town incorporated in 1737. The name of the town is partly a blend of Hartford and Windsor, plus the suffix "-ton." According to the United States Census Bureau, the town has a total area of 31.1 square miles (81 km2), of which, 30.8 square miles (80 km2) of it is land and 0.3 square miles (0.78 km2) of it (1.13%) is water. The southeastern portion of the town contains the Roraback Wildlife Area and several reservoirs. As of the census of 2000, there were 5,283 people, 1,958 households, and 1,546 families residing in the town. The population density was 171.8 people per square mile (66.3/km²). There were 2,022 housing units at an average density of 65.8 per square mile (25.4/km²). The racial makeup of the town was 98.69% White, 0.08% African American, 0.06% Native American, 0.51% Asian, 0.06% Pacific Islander, 0.13% from other races, and 0.47% from two or more races. There are currently 1 red-hot tax lien listings in Torrington Ct 06791.